A DUI conviction in the state of Arizona has the potential to ruin your life. Those found guilty of DUI in Arizona face repercussions beyond fines and embarrassment. DUI penalties include fines, time in jail and driver’s license suspension. There are also collateral consequences as detailed below. Collateral consequences are extra penalties resulting from a criminal conviction aside from fines, probation and/or time in prison or jail. Though the social consequences are not the same as collateral consequences dictated by the state of Arizona, each has the potential to change your life for the worse. Let’s take a look at an example of collateral consequences to illuminate this issue. In addition to probation, jail time and fines, an individual convicted of Arizona DUI will be subjected to a driver’s license suspension for upwards of a full year. Once the license is restored, the individual in question must have an ignition-interlock system installed on the vehicle. This system must remain in place for upwards of 18 months. Ignition-interlocks are mounted to the vehicle dashboard, forcing the driver to blow into a tube to prove he or she has not consumed alcohol. If alcohol is detected, the vehicle will not start. If your driver’s license is suspended, it will make it that much more difficult to get to work, drive your kids to sports practices and enjoy life. If the court allows for a restricted driver’s license during the suspension period, you might not be able to adhere to the schedule required by your employer. Adding salt to the wound is the fact that state-issued commercial/professional driver’s licenses are not provided to those who have a DUI conviction. This means your license to operate a commercial vehicle or school bus can be revoked or denied after you are found guilty of DUI in Arizona. If you have spent your life driving for a living, you will find it extraordinarily difficult to transition to a new line of work. In certain situations, employers will take action against employees convicted of DUI in Arizona. Consider the situation of Steve Keim, the General Manager of the Arizona Cardinals. Keim was charged and convicted of DUI while driving in Chandler. News reports state Keim pleaded guilty. In addition to the penalties mandated by the state, Keim was also suspended from work for more than a month and fined $200,000. It is bad enough that you face fines, potential jail time and the suspension of your driver’s license for an extended period of time. Penalties levied by your employer will make life even more stressful. The worst part is your employer will likely look for ways to reduce your role in the workplace after this transgression. It is certainly possible your employer will gradually phase you out after a DUI conviction. 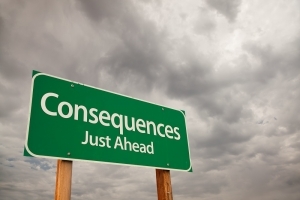 Though employer consequences for DUI seem unfair and excessive, they are perfectly legal. This is the nightmare scenario our Arizona DUI attorneys will help you avoid. The bottom line is Arizonans take DUI more seriously than most other Americans. If you are charged with DUI in Arizona, your livelihood is at stake. Do not let this legal predicament ruin your life. Reach out to our Arizona DUI attorneys for assistance and we will fiercely represent you in and out of a court of law. Our mission is to minimize your DUI penalty or even get the charge dropped altogether. Contact us today to schedule an initial consultation so we can review the facts of your unique DUI case. Click here for information on what is the penalty for prostitution in Arizona.